I’m going to be upfront with the readers of Slime House TV, this is a classic piece of cinema. When I first watched this at the recommendation of fellow writer, Stephen Leigh, I’ll ashamedly admit that I came into it with a few laughs. The B-Movie title, the seemingly simple premise, and the older style of filmmaking were enough for me to dismiss it before giving it a chance. I was wrong, clearly, and I knew as much by the time the film ended. The film humbled my immature outlook on it, and it did it by leaping over all the hurdles mentioned above, or rather, shrinking under them! 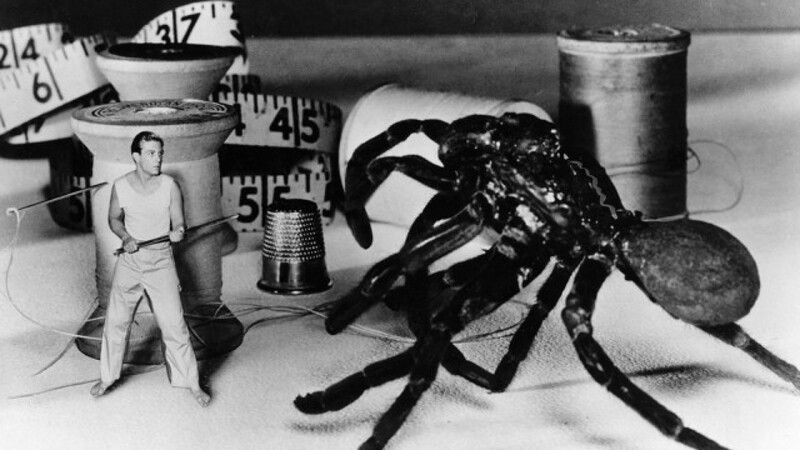 The Incredible Shrinking Man tells the story of Scott Carey (Grant Williams) – a successful businessman with a loving wife and his whole future ahead of him. 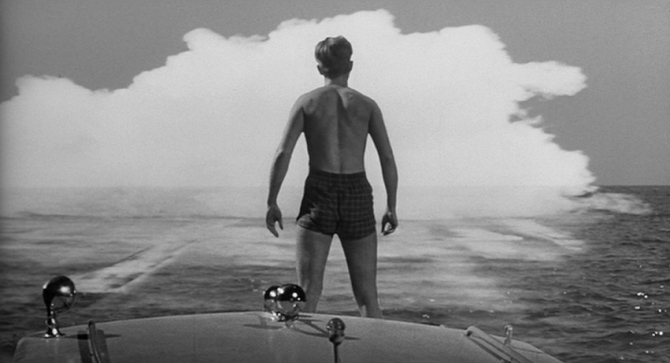 Whilst on a weekend boating trip with his wife Louise, Scott is caught in a glittery mist of insecticide, and that’s it, five minutes in and we’ve had the catalyst that sees Scott begin on his unwanted shrinking odyssey. No mucking about, nothing complex, just simple and to the point. 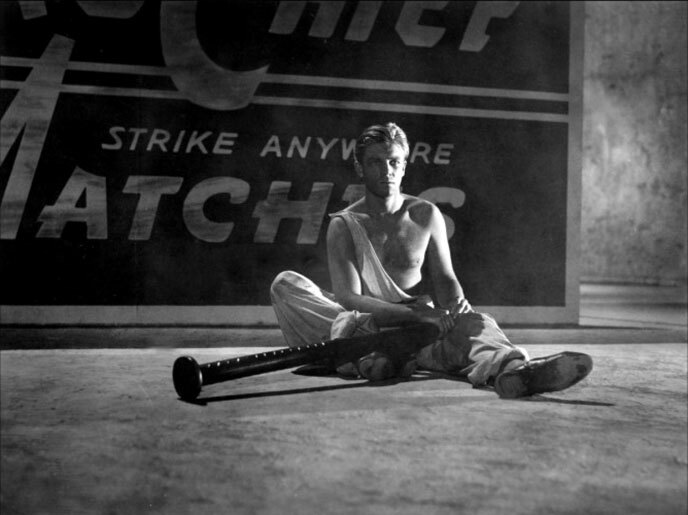 The film is beautifully brisk in fact at an hour and twenty minutes. By way of being able to fund the search for a cure, Scott sells his story to the media, becoming a social outcast in the process. It’s moments like this and a notably dark moment of suicidal contemplation early on whilst writing his tell-all book account of his shrinking that showcases this as a film unafraid to touch on subjects still relevant today, all whilst telling an adventure sci-fi. 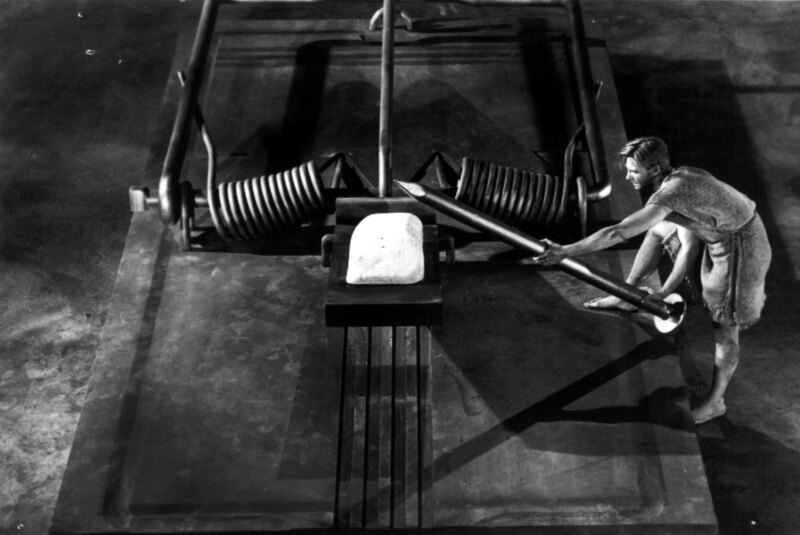 Anywho, I think what still amazes me about The Incredible Shrinking Man is it’s inventive approach to it’s set pieces. The film takes something as simple as a box and makes it feel like a cavern to be escaped from or a once loved family pet becomes a snarling epic beast! The once domestic world feels dangerous and unpredictable and I love that. Don’t get me wrong, this may not be for everyone though. Some might find the telling and not showing techniques of some of Carey’s voice-over based thoughts off-putting. I found that when looked at with the context of Scott journaling his extraordinary experience, it makes sense, and doesn’t detract too much from the film, even if it is at odds with more modern sensibilities. 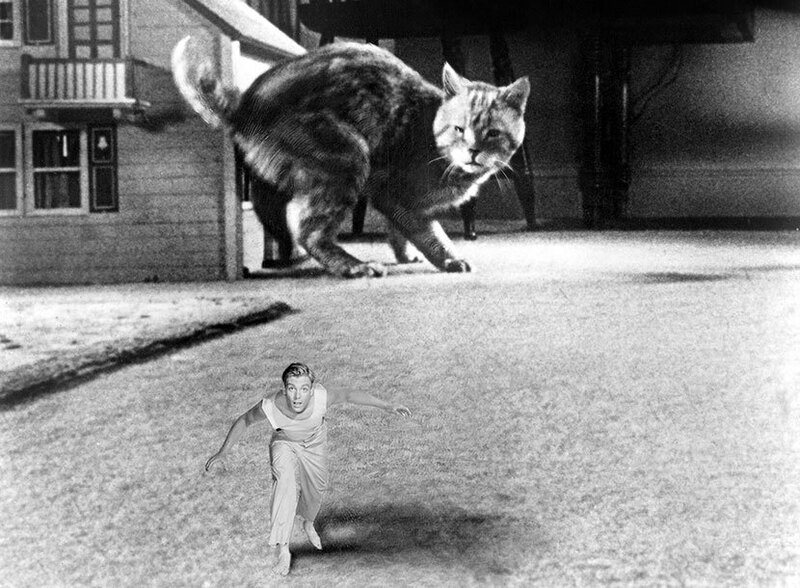 To say more of the plot and it’s end game would be to spoil I think but I’ll say this, The Incredible Shrinking Man begs to be seen. I watched it again as if it was new again, lovingly up-scaled for its Arrow Films release on Blu-Ray. Once again they have pulled out all the stops with a gaggle of great features, including a fantastic Super-8 edition of the film and brilliantly informative (and exclusive) documentaries on the early work of director Jack Arnold and the writing of the superlative Richard Matheson. The former of which gives a wonderful insight into the studio system of yesteryear and if you’re anything like me you’ll be itching to delve into the audio commentary included in this edition as well. As is standard with Arrow releases you’ll also be treated to reversible sleeves for the case, this time with fantastic commissioned artwork courtesy of Sara Deck. If you’re lucky to get a first pressing of the film, you’ll be treated with a collectors’ booklet with new writing from esteemed film critic Kim Newman too. Don’t be like me when I first watched this and underestimate it. Honestly, the film alone is well worth your time and attention but what wowed me as always were the great additional features for those film fans that love absorbing every morsel of information about any film they watch. The kind of fan who heads straight to IMDb trivia when the credits roll. You know who you are, have no fear, Arrow has your back on this one. 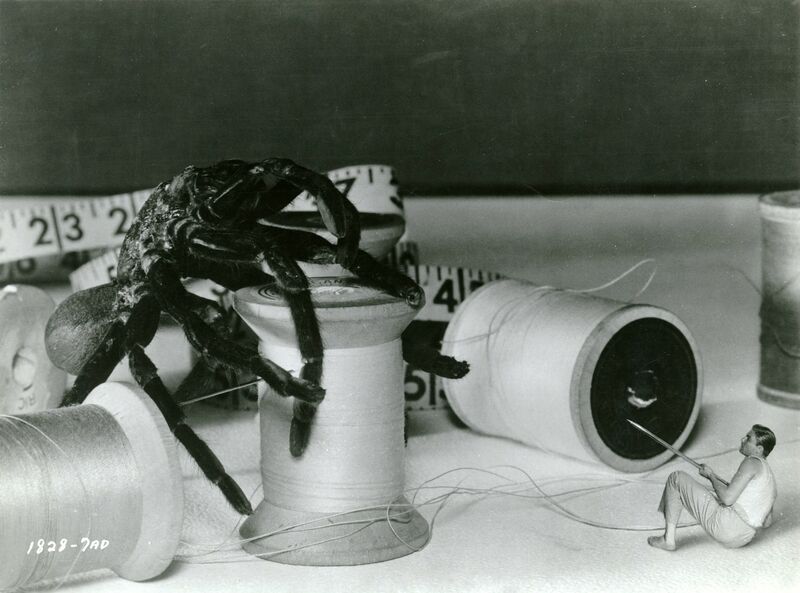 The Incredible Shrinking Man is out today! CLICK HERE to buy it now from Arrow Films. Previous Post Slime House TV -Warhammer World Special! Next Post An American Werewolf In London’s David Naughton – Slime House TV @ Horror Con UK Interview Exclusive!